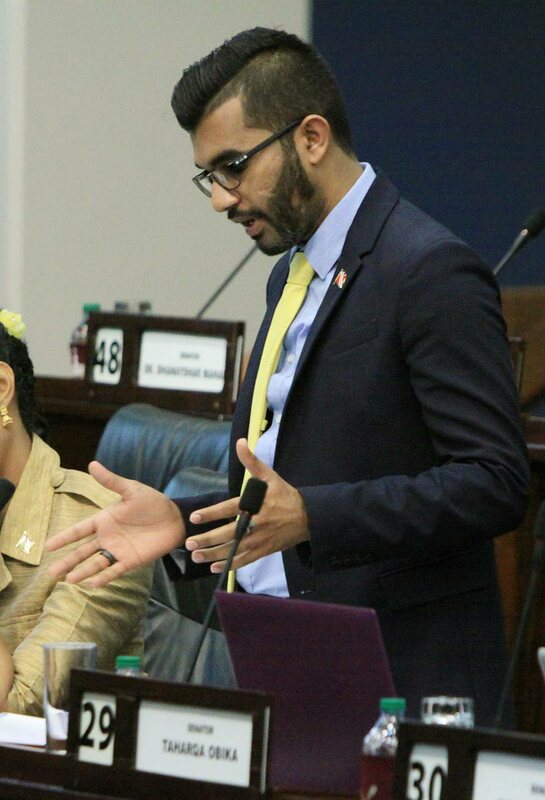 SADDAM HOSEIN, Opposition Senator, was cut off prematurely from his speech on the Income Tax Amendment Bill after falling foul of Senate President Christine Kangaloo on Tuesday. Kangaloo rose to chide him for tedious repetition of points already made. He accused Attorney General Faris Al-Rawi of misleading the Senate by claiming that in the Joint Select Committee (JSC) the Opposition had agreed to drop a clause in the bill. Hosein complied, and continued, saying three Opposition members had never agreed to remove an item in the JSC. “What we agreed to is that if you can provide us with the evidence that the passage of the Income Tax Bill alone will take us off the blacklist, we will agree,” Hosein explained. Reply to "Christine shuts down Saddam"